his package is perfect for the bride looking for someone to take care of it all - from beginning to end. You give us your vision, and we handle all the details. This package provides custom design process, as well as handling all the logistics. Have the day you always envisioned without the stress of doing it on your own. Full Coordination & Design Package is our most popular amongst destination brides. Eden is an INCREDIBLE wedding planner to work with, and I would suggest her a million times over. She is professional, responsive, detail and vision oriented, but at the same time down to earth. She keeps your vision at the forefront of all the planning and she made sure that on our wedding day we didn’t feel bit of stress, and made sure every little detail exceeded our wildest dreams. We couldn’t have imagined our wedding day to turning out any more beautifully or smoothly than it did, and that is most definitely thanks to her! Hiring Paraiso was the best money we spent. Having the ability to remove all of the stress and worries and just take the time to focus on what was really important--getting married--was worth every penny. Eden is so professional, so detailed, and so knowledgeable about everything related to wedding planning. She has wonderful connections and she has lots of experience. Best, best, BEST decision! We are so happy we choose Eden to help plan our big day! I immediately knew she was the girl for the job when we met in person. I actually selected Eden over a well known planner who has been in the Charleston wedding industry for MANY years. Eden kept an upbeat and stress free personality through it all- which I needed the most! Better yet, she nailed our aesthetic vision. I received many compliments on the details of our wedding. She also went out of her way for us on more than one occasion which absolutely stood out. Snag Eden as a planner, she has a big future of wedding planning ahead of her! I truly miss chatting with her now that it’s all over! Eden truly made our dream wedding a reality. From the very beginning, Eden listened to our vision and worked tirelessly and thoughtfully to ensure that even the smallest of details were perfect. I especially appreciated how communicative Eden was throughout the entire process. 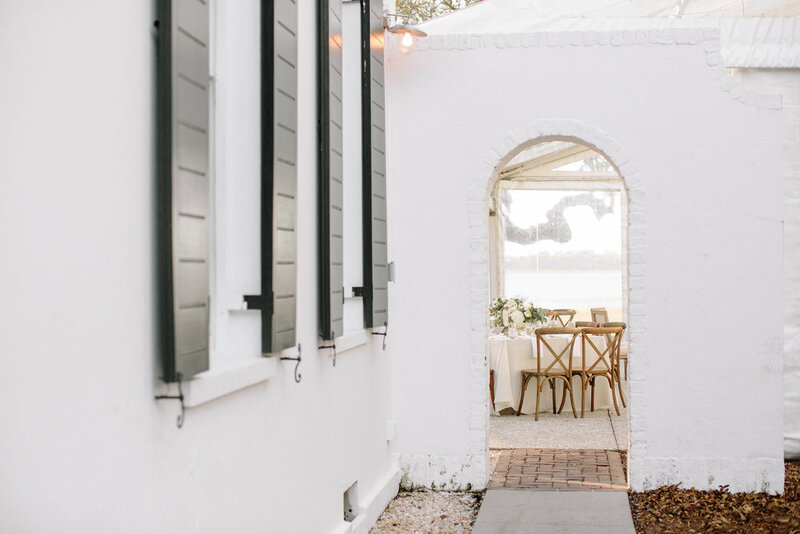 Although she planned our entire reception from start to finish, I always felt as though I knew exactly what was going on and that our preferences were carefully considered. Eden is clearly in contact with the very best vendors in the region and every detail of our day was planned, organized, and executed flawlessly. We attribute everything to Eden's professionalism. I trust Eden completely and would use her over and over again! I don't have enough great things to say about her and can't recommend her business enough!! She was responsive, attentive, helpful, and really knocked it out of the park! I felt like what I wanted in our wedding was all over the place when we first met, but Eden was able to hone in on a few details, sent a vision board that my then fiance and myself absolutely loved, and our day turned out beyond perfect. People complimented every single element she designed! She is knowledgeable in all things wedding related, so no question went unanswered and I never had to worry about the logistics or vendors because she knew everyone we were working with. Paraiso Event Design was worth every single penny and more. Our wedding would have been the same without Eden and all she did for us. We are forever grateful!! If you are looking for a wedding planner who LOVES to party plan, who is energetic, bubbly, creates your vision even when your lost, mindful of your budget and is on top of it 24/7 you’ve found your person! We couldn’t have been happier with the whole process and we can’t thank you enough for making it easy for us! Paraiso Event Design was truly a gift when it came to wedding planning. As my mom and I reflected after the event, there were so many times that we said- how would that have happened without Eden there? She made our day flow seamlessly. Not to mention that Eden is incredibly sweet and felt like a friend from our first meeting! Hiring an event coordinator was completely worth the investment and we would choose to work with Paraiso Event Design a million times over. Paraiso made my engagement and wedding one to remember! The most stressful and tedious tasks that come with planning a wedding were gone the moment I made the decision to use Paraiso. It was great not having to worry about anything because I was in such great hands! My event was flawless and everything I dreamed of. We can’t thank Eden and Paraiso Event Design enough for making our day so special! Eden was a true gift to us while planning our daughter's wedding. She was resourceful, organized, and genuinely cared about creating a magical day for the bride and groom. She took care of the overall planning and all the little details. She made everything easy, was very accommodating, and her ideas were wonderful. I would highly recommend her services in planning your special event. Working with Eden was a true delight! She was helpful and responsive at every turn. We live in Charlotte, so she gave us wonderful suggestions for Charleston vendors and created a beautiful design for our daughter’s special day at The Cedar Room. Perfect day, and everything we hoped for. Elegant and visually stunning.